Are you looking for experts in garage door springs repair in Etobicoke, Ontario? Whether your home springs are already broken or need maintenance, our technicians at Etobicoke Garage Door Repair can take care of their needs. Local homeowners can count on our fast assistance, equipped technicians and professional skills. We can replace all types of springs, add tension, can handle problems with the special Clopay springs, install new springs and can change the damaged spring parts. From new spring installation to adjustments, you can trust our professional expertise. Are you wondering whether to change or fix the existing home torsion or extension springs? Our technicians can help you decide. Springs are designed to last for a specified period of time. After that, problems begin since springs are coiled and their coils lose their flexibility over time. With our Etobicoke garage door springs repair and adjustment services, we can keep them functional and flexible throughout the years so that you won’t have problems with the door’s operation. When it’s time to change them, we let you know. The entire garage door spring replacement service, which includes the removal of the old spring, the installation of the new one, and the door’s balance, takes place as soon as possible. With local technicians ready to offer assistance, you can be certain that your damaged springs will be replaced before trouble begins. We also offer emergency broken spring repair and are equipped with winding bars in order to replace and adjust all torsion spring sizes. Need help in selecting new springs? Want an expert’s opinion about the existing ones? 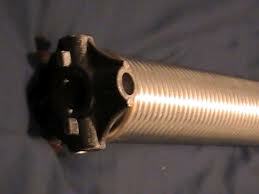 Apart from offering fast torsion spring repair, we can also tell you if the right springs are installed at your door. The weight of the door is the first determinant. So, if you change the door, make sure to change the springs too. We can help you with such needs and tasks since we are trained to carry out all spring services. Depend on our quick garage door spring repair, adjustment and replacement services in Etobicoke, Ontario, our excellence as professionals, and our overall spring expertise.